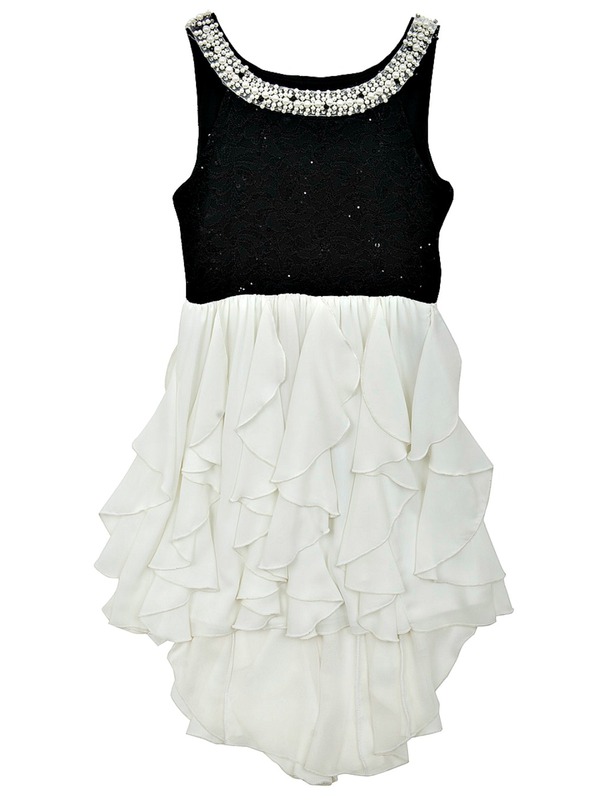 Beautiful girls formal black and white special occasion dress features faux pearl trim around neckline and white chiffon layered hemline. Lined. Back zip. Such and elegant party dress for any young girl.